Humans have used up the natural resources the Earth can provide for the year and are now in "overdraft", campaigners have warned. The world has reached "earth overshoot day", the point in the year that humans have exhausted supplies such as land, trees and fish and outstripped the planet's annual capacity to absorb waste products including carbon dioxide. For the rest of the year, the world is in ecological debt, with fish stocks and forests being depleted, land degraded and carbon dioxide building up in the atmosphere, the Global Footprint Network said. Earth overshoot day is calculated by comparing the demands made by humans on global resources - our "ecological footprint" - with the planet's ability to replenish resources and absorb waste. This year, in less than nine months we have used as much of nature as the Earth can regenerate in a year. Earth overshoot day has fallen a couple of days earlier than it did last year. The Global Footprint Network said that in 1961, humanity only used around two-thirds of the available natural resources on Earth, but by the 1970s increased carbon emissions and consumption began to outstrip what the planet could provide. 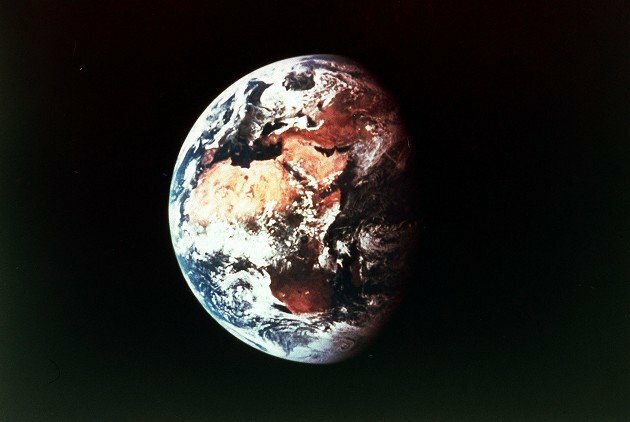 Humans now need the equivalent of 1.5 planets to sustain us, and by mid century it will have risen to two planets, the campaigners said. China has the biggest total ecological footprint, because of its large population, but other countries have much higher demands on resources per person. If everyone were to live like US residents we would need four planets to supply demand. Alessandro Galli, Global Footprint Network regional director, said: "Everyday life in many Mediterranean countries is showing us what it means to live beyond financial limits. "Ecological and financial deficits are two sides of the same coin. Over the long run, nations cannot deal with one deficit without addressing the other."